This mod will run with 1.3.0, but it is not running perfectly. There’s a problem with the planet background for other empires, and empire generation. I will fix these when I can. If anyone has suggestions for fixing the problems, let me know. – 700+ real star systems along with another 100+ Star Trek systems all correctly positioned with the correct star class, and roughly the correct size. – Many star systems have individual initializers, but there are more than 700 random initializers (which preserve position and star class) to ensure variability from game to game. – Over 20 non-warp races from Star Trek, any one of which may turn into a fully fledged empire at any time. 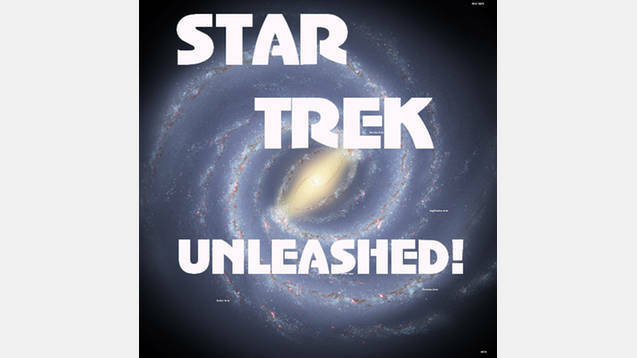 Playable races currently in the game: United Earth; Confederacy of Vulcan; Klingon Empire; Romulan Star Empire; Andorian Empire; Congress of Tellar; Betazoid Union; Cardassian Union; Ferengi Alliance; Tholian Assembly; Gorn Hegemony; Breen Confederacy; Bolian League; Trill Alliance; Tzenkethi Coalition; Deltan Union; United Rigel Colonies; plus a Voth invasion force from the Delta quadrant. Note this mod is not ‘canon’ Star Trek, as much of the information was found in Star Trek Memory Beta. However, insofar it is non-canon it is just to flesh out some of the star system details. To play the map, just select the “Local Cluster – Star Trek” map during game setup. Select ‘United Earth’ to play as humans. If you select Terran Federation, or Deneb Confederacy, or any of the vanilla empires, you will get unpredictable results. If you find it a bit cramped near to Sol, select only 16 AI empires, as the Andorians then be removed, giving you more space. I plan on adding further Star Trek systems, and pre-warp species. To add further races, however, I would need someone to supply me with the artwork, as I cannot do that myself. Note that a few of the races (Gorn in particular) look a bit unconvincing as I used the vanilla species generator. However, most of them were designed by Walshicus and are pretty good, in my opinion. If you have suggestions for changes, or find bugs, please let me know. I’d love to see this map in a proper conversion and I think the quality of the map is good enough for that. If you’re interested in using the map in other mods, please get in touch, either in the chat below, or message ‘Lucre’ on the Paradox forums. Robert Hurt for the galaxy pic. Big thanks to Walshicus who designed most of the races. I didn’t use every single one of Walshicus’ races, but I used most of them, and I’m grateful that he generously gave permission for his mods to be used in other mods. Thanks to Cheapstare for ‘Star Trek Races and Uniforms’ mod. Thanks to Wulfram77 for the use of ‘Multicoloured Space People’ and ‘Rainbow Space People’ mods. Also credit is due to Star Trek Memory Beta (and to a lesser extent Alpha) for the source reference for many of the star systems.